Meet Darwin Geraci, the newest member of the clan. 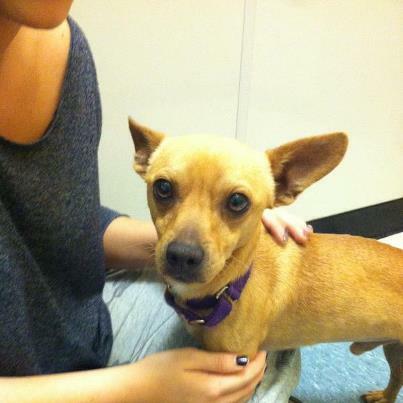 He’s a Chihuahua/Dachshund mix that my oldest, who lives in Austin, just adopted. Pretty darn adorable, huh? He definitely needs some Seminole gear to brighten up his cute little face. Maybe a bandanna or something. Must Go to the Garnet and Gold shop and ship something out today! ← Previous Previous post: O’Brien, is that you?